SEW.... I was talking to a quilting friend recently, and she commented on the zipper bags I had made. She said " I think they are cute...but what do you use them for?" Sew..what do I use them for? The long green one, made by my friend Janet for a guild swap, holds pens and pencils, and the eyeglass wipes I need all the time. The large floral has a phone charger, and sometimes the NOOK charger. The diamond shape has lip stuff, hand sanitizer, and cough drops. 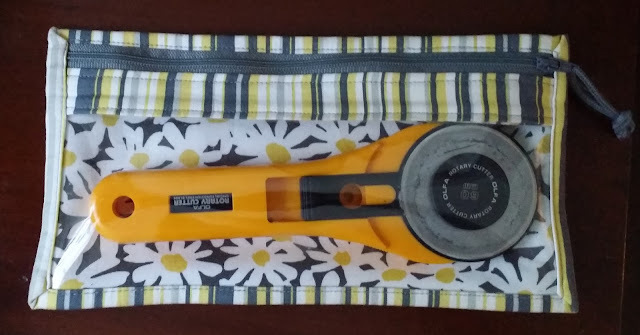 well it's perfect for packing that rotary cutter .....or M&Ms? 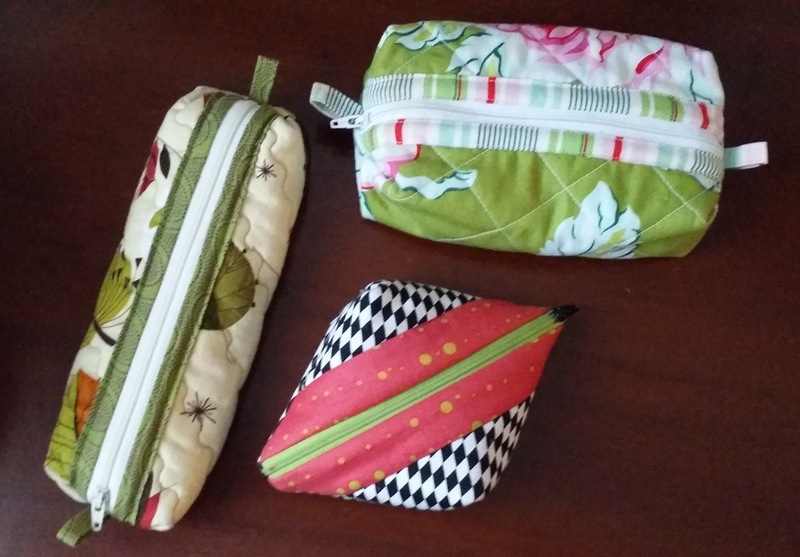 My purse is so much easier to use when it is filled with these fun organizers. 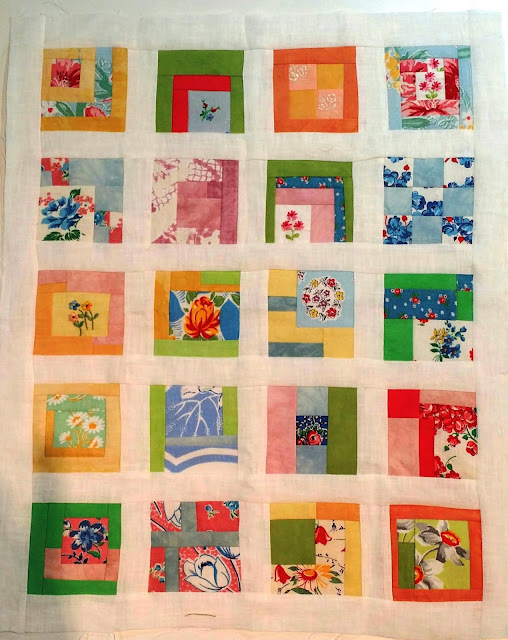 It's easy to make a few at a time.. uses your favorites quilt leftovers ( I refuse to call them scraps! ), and they are really useful... Need your gift to be a bit more? Add a gift card inside for a special surprise.... Fill with first aid stuff, school basics, simple sewing emergency kit...or for that new mom.. emergency diaper and wipes.... the possibilities are...sorry...endless!